Chima Steakhouse In Philadelphia Hosts Brazilian Day Event. 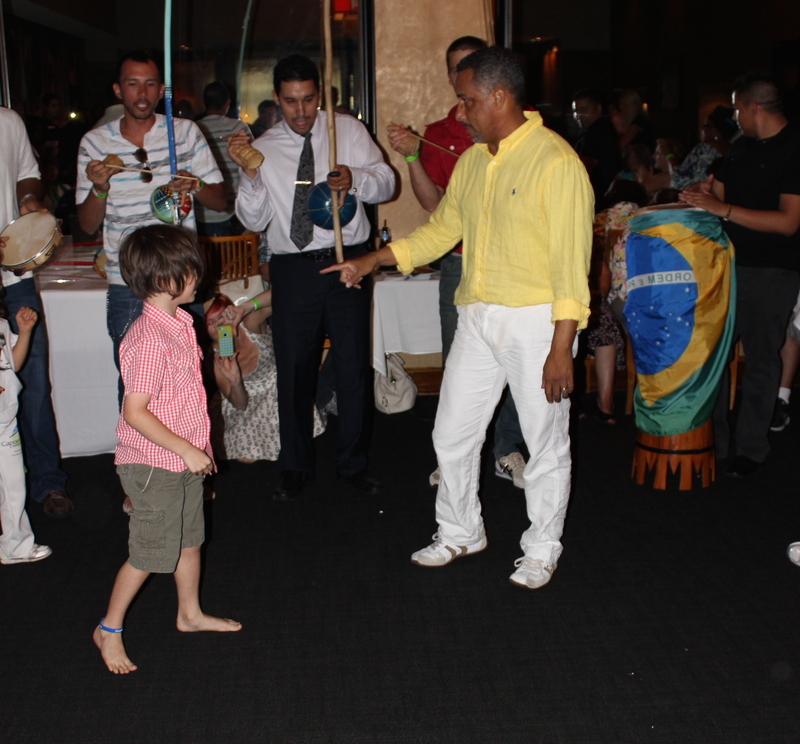 Our Brazilian BBQ Blog Chima Steakhouse In Philadelphia Hosts Brazilian Day Event. On June 30, 2014, Chima Steakhouse in Philadelphia hosted Brazilian Day. It was a benefit to raise money for ‘Project Capoeira‘ that teaches capoeira to kids. ‘Project Capoeira’ is the brain child of Mastre Doutor, whom is a well-respected Capoeira teacher in Philadelphia. Aside from teaching kids Capoeira, which was the purpose of the night, the overall mission is to spread Brazilian culture and arts. Since I am a fan of Capoeira and Churrasco and charity, I knew I had to be there. When I showed up at Chima Brazilian Steakhouse, the meeting room was hosting the event. They had laid out all the appetizers and were delivering the meat on the metal Churrasco skewers. There was a raffle for prizes and everybody was talking and having a good time. I got to speak to some of the people about how we make our Churrasco skewers and what the different sizes mean. Then the music started. There was a few Berimbaus and a drum. The kids started to make a circle around the insturments. Then the Capoeira started. I do not need to tell you this but young kids doing Capoeira is adorable. Mestre Doutor jumped in with a girl that must have been about 7 or 8. It has been a while since I played Capoeira, I wanted to jump in, but this night was for the kids. They didn’t allow any adults. So, maybe next time. It will be unlikely that I walk into Chima Steakhouse again without thinking of this wonderful night.